Board of Directors - BROWN PAPER BOX CO.
Senior Associate Attorney, Arnold Scott Harris, P.C. Although David has been with BPBCo. since 2011, the 2017-2018 season has been his most eventful year yet - he directed Speech & Debate, was the casting associate for They're Playing Our Song, and staged managed "Positively Present: An Uplifting Cabaret." He also won "Class Clown" at "Last Midnight." Outside of BPBCo., David is a company member of Hell in a Handbag Productions, where he has directed and performed in nearly two dozen productions. Other Chicagoland credits include productions with Broken Nose Theatre, Victory Gardens, Theatre at the Center, Pride Films & Plays, Factory Theater, and the Illinois Theatre Center. Film/TV: Polish Bar, Devil in My Ride, "Green Screen Adventures". He always thanks BC/KJOC in his bios. Always. is a founding member of Brown Paper Box Co. as well as an actor, fight director, Certified Yoga teacher, and Certified Stage Combat instructor. He is currently on faculty at the University of Illinois at Urbana-Champaign as a professor of stage combat, movement, and acting with the Department of Theatre. Zev is a Certified Teacher with the Society of American Fight Directors, and serves on the governing body. Zev has an MFA in Acting from Michigan State University, where he also received the Graduate School Certificate in College Teaching. 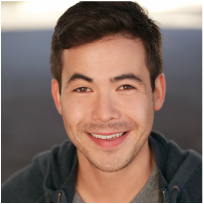 His work with Brown Paper Box Co. includes performing in and fight directing Reefer Madness! and And Then They Came For Me. Other Chicago acting credits include: Peter Pan, Cinderella, and Hansel & Gretel (Emerald City Theatre Company), and the Jeff Nominated Poseidon: An Upside-Down Musical! (Hell in a Handbag Productions). Zev recently published an article on techniques for "acting the fight" in Fight Master, the journal of the Society of American Fight Directors (SAFD). In addition to his ongoing research and teaching in combat, movement, and acting, Zev has been recognized twelve times for his artistic work in Michigan, in Chicago, and by the SAFD. In 2011, he was honored by SAFD with its Paddy Crean Award, which is presented to someone believed to be an emerging leader in fight direction. 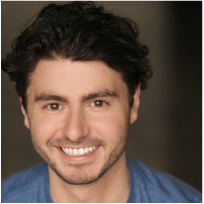 Zev is a BFA graduate of the University of Illinois at Urbana-Champaign, where his credits included A Chorus Line, I Sing! The Musical, and Reefer Madness! Zev really likes chicken nuggets, especially when they are shaped like dinosaurs. Find out more here.